The Volvo 1800ES featured a 2-door shooting brake with rear glass windows that earned it the nickname Schneewittchensarg, German for Snow White's Coffin. If Snow White had eaten another apple in 1986, she would have been laid to rest in the DAF built Volvo 480 Turbo. Unfortunately Ms. White wouldn't have been able to find a 480 Turbo in the USA because they were only sold in Europe, but luckily at least one was imported. 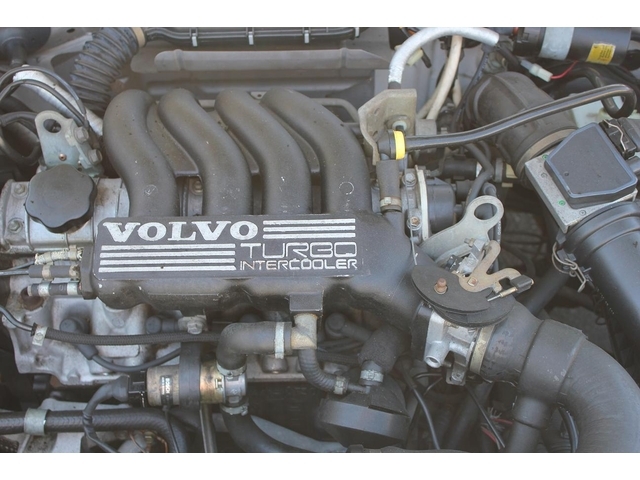 Find this 1989 Volvo 480 Turbo for sale in San Luis Obispo, CA for $9,500 via ebay. Tip from IgnatiusReilly, who has been spending more time surfing for rare cars on ebay since the Night O Joy saloon closed down. Great find...oooeee. The 480 Turbo was a 2-door wagon based on the 440/460 platform and built at a DAF facility in the Netherlands. Unfortunately this means that it is front wheel drive, but at least it has a turbocharged engine and manual trans. The 1.7 liter inline-4 is boosted with a stock Garret turbocharger and puts out 120 horsepower and 129 ft-lbs of torque in a classically Volvo low pressure setup. Rumor has it that the transmissions had gears made from recycled wooden shoes and throws gears like a ninja throws shuriken, but these sort of unsubstantiated internet rumors must be ignored if you want to drive something wacky. 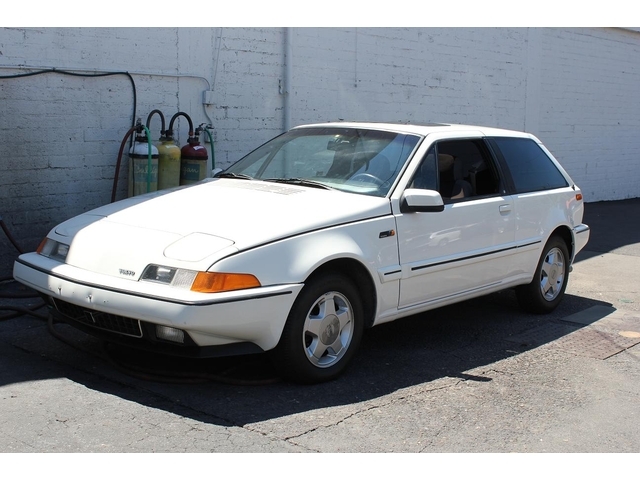 This 480 is the only one we've ever seen for sale in the USA and probably one of 10 ever imported and has only 50k miles on the odometer. 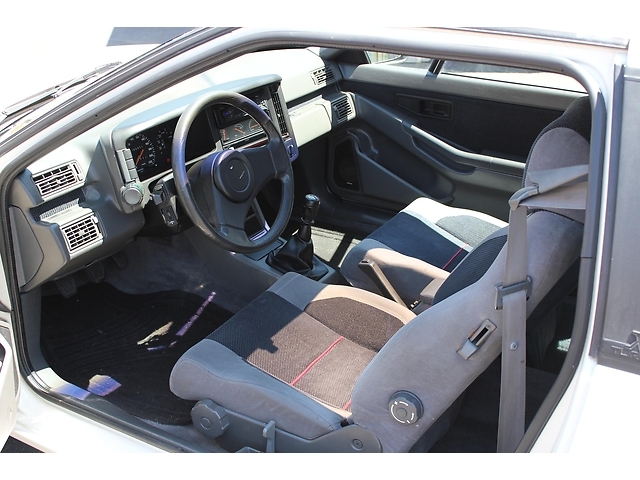 That interior reeks of high tech style circa 1986. Max Headroom would feel ri-ri-right at home in here! No one will mistake the 480 Turbo for a Ferrari, but you will get people asking what it is and if it's related to the FX16 Corolla. Our only concern with this car is the availability of parts this side of the Atlantic as we aren't aware of anything for the US market that shares any engine/chassis/suspension components. But, for the current asking price it is probably worth the risk and you could always give it the Polestar treatment. Same car featured on BaT, but Max Headroom makes for so much more winning. Not to mention the commenters around here these parts are smarter and more beautiful. You know, when I was digging up Isuzu Impulses the other day, I was thinking: "Who else made this kind of long hatchback kind of thing?" 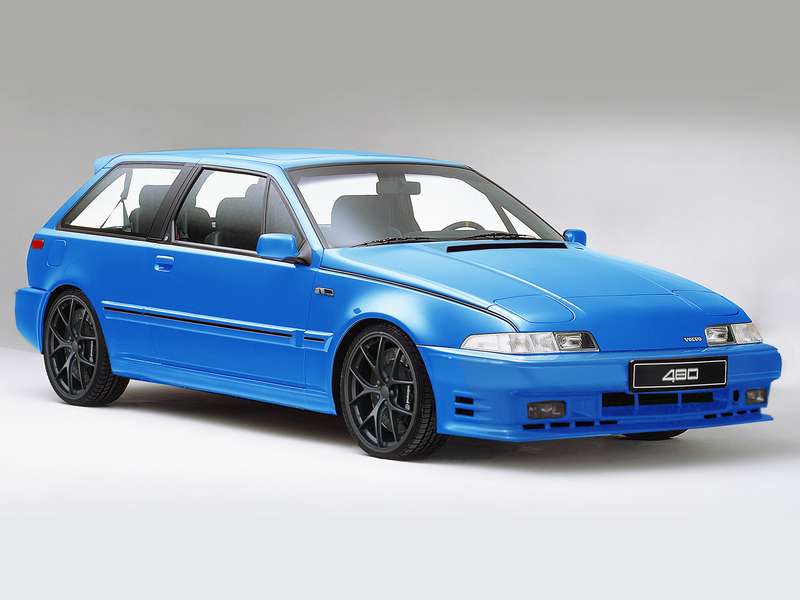 There was a Corolla liftback, Renault Fuego, and one of the mid-80's Civics, but I couldn't come up with another. And there it is! Interesting for rarity's sake, but man a Saab SPG for the same money or less is such a better buy...and so much better looking. 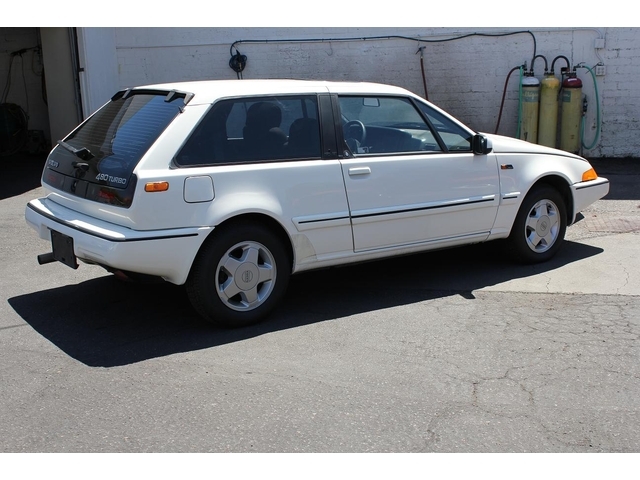 For a similar layout and better parts availability the Honda Accord Aerodek 3 door of the same era is worth considering.